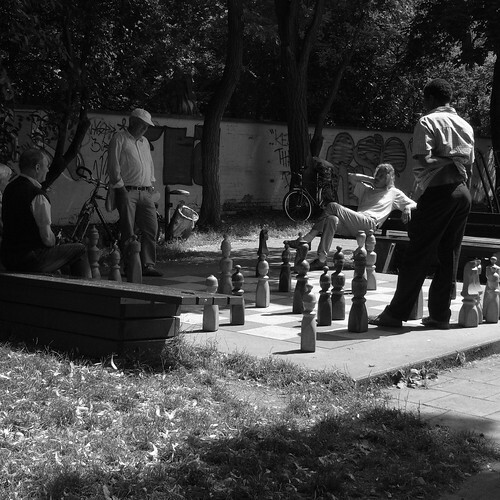 Afternoon Chess, Munich, originally uploaded by Eric Jeschke. This was a bit of a tough exposure, half sunlight and half shade, but I think it came out all right. Looks best large.